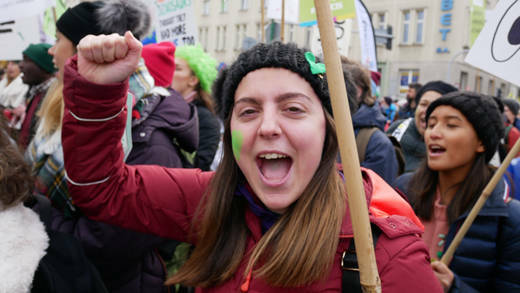 CAFOD campaigner chants at the COP24 climate talks in Poland. Putting your faith into action really does work! It’s time to celebrate. Here we reflect on seven super campaign successes and the part CAFOD campaigners played in making the world a better place. When the 2017 snap election was called, we mobilized our MP Correspondents who stood up for aid and development by writing letters and emails to candidates and to your local papers. All parties maintained their commitment to overseas aid. In 2018, we also worked alongside the people of Leeds to ensure over 170,897 people living in poverty got water and toilets last year. Your contribution to UK aid across the world is changing lives. 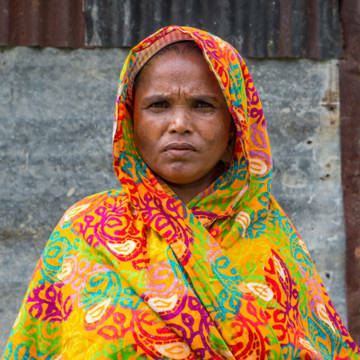 The UK aid budget, however, is still under threat. Opponents of aid in politics and in the press are using their power to attack these vital programmes. Sister Clara, a CAFOD volunteer, walks among the shoes of refugees, migrants and supporters. 400 shoes were displayed outside Westminster Cathedral to celebrate reaching 100, 000 miles - four times the distance around the world. Millions of people across the world have been forced to flee their homes due to war, persecution, natural disaster and poverty. The church called upon us to walk in solidarity with those with refugees and migrants, sending a strong message to world leaders to take action and protect the rights of those people on the move. In 2018 we wanted to walk once around the world (24,900 miles) but so far, we have walked an incredible 115,000 miles, almost five times more! Your actions did not go unnoticed, with countries across the world joining in with their own versions of Share the Journey. In turn, Global Compacts on migration and refugees have been agreed to ensure that countries work together to support those forced to leave their homes, and to tackle the reasons behind that. Campaigners outside Sainsbury's to make them commit to Fairtrade teabags. In 2017, we campaigned to demand Sainsbury’s not ditch the Fairtrade mark from its own brand tea. In 2018, Sainsbury’s announced that they were buying ASDA, so we raised the issue again to push for ASDA to also have Fairtrade own brand tea. Since then, Sainsbury’s has responded with its own “Fairly Traded” brand tea. This isn’t the same as the Fairtrade mark. We are very much hoping that Sainsbury’s will keep its commitment to Fairtrade in this move. Parishioners from St John the Baptist cathedral celebrate receiving the livesimply award. 50 communities – including parishes, schools and one university – can now celebrate receiving the livesimply award. Dozens more are working towards it. They’ve shown their commitment to living simply, sustainably and in solidarity with poor communities with a range of inspiring activities – from welcoming refugees to growing their own food, from studying Laudato Si’ to installing solar panels. It’s a scandal that one in six people worldwide still live without electricity, when local, renewable energy can help lift communities out of poverty. In 2018, over 30,000 of you spoke up loud and clear to the World Bank and to the UK government – and they are starting to respond. In replies to questions from MPs, former Secretary of State Priti Patel stressed the strong influence the UK government has as a major shareholder at the World Bank. She also emphasised the importance of speaking up for energy spending that benefits the world’s poorest people. In December 2018, negotiators from 196 countries and the European Union joined in talks to reach a global climate agreement. Over two weeks of negotiating led to implementations of the historic Paris Agreement, signed in 2015. In October, the IPCC report (Intergovernmental Panel on Climate Change) had scientists tell us that if major global changes aren’t made to tackle climate change, irreversible damage will be done to the earth, our common home. In light of this, many believe the COP24 discussions did not go far enough. We must continue to raise our voices on climate change and urge the UK government to increase their ambition in tackling climate change. CAFOD's Climate Champions for 2018 meet for the first time to hear how they will travel to meet campaigners across Europe and learn how they will play their part in tackling climate change. Every year sees our Climate Champion scheme go from strength to strength. In 2018, 30 18-35-year olds volunteered to be pioneers of climate action. They visited a sustainability camp in Belgium and participated in an exchange with campaigners in Poland. They've written blogs; met their MPs; planned campaigning events in schools and parishes; learned loads about campaigning and set in motion a strong future climate change campaign. We are now looking for 20 climate champions for 2019, who will become leaders in our new climate campaign – Our Common Home. Want to be a climate champion? Apply now!